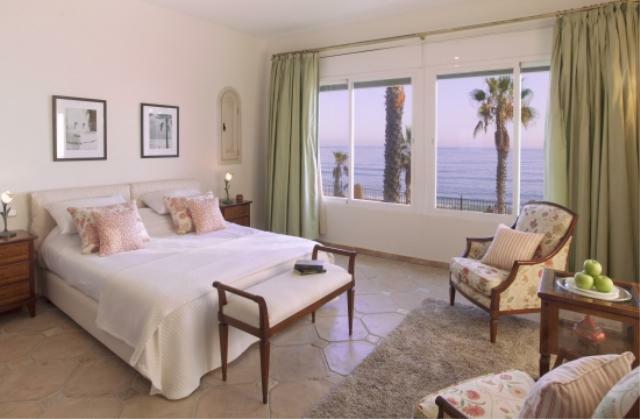 Azure Holidays are delighted to offer this stunning 14 bed frontline beach villa in Marbella. Villas don’t get any more impressive than this one – ideal for large groups and wonderful for weddings and special occasions this beach front mansion is not to be missed. 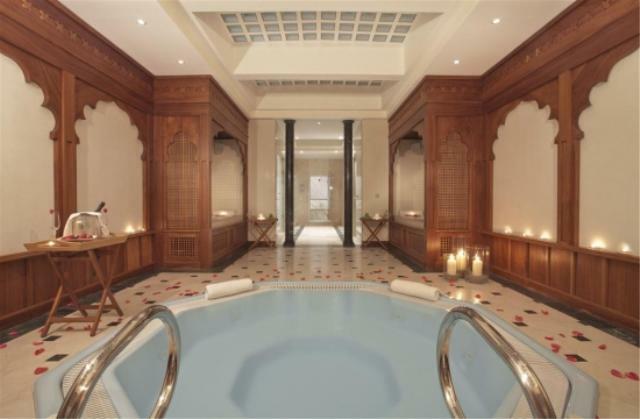 Ask Azure "This impressive 14 bedroom villa is a property of epic proportions. 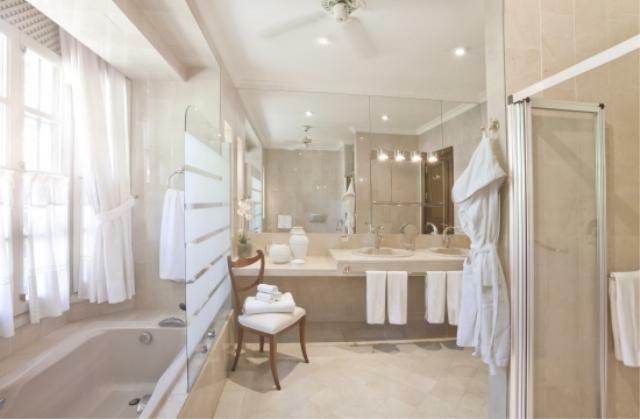 Stunning in every way from beautiful fixtures and fittings to the included concierge service - your every need is met on holiday here"
This palatial villa provides you with a holiday home on a grand scale. Set on a plot of 7,000 square metres with the property taking 2123 of those metres, you won't be short of space. This villa is perfect for large group bookings, perhaps for a wedding or special event. Sleeping up to 28 guests over the expanse of the villa and two additional guest houses there is more than enough room for it to still feel spacious even when full. Of those two guest houses one has two bedrooms and the other guest house has four bedrooms with its own kitchen. 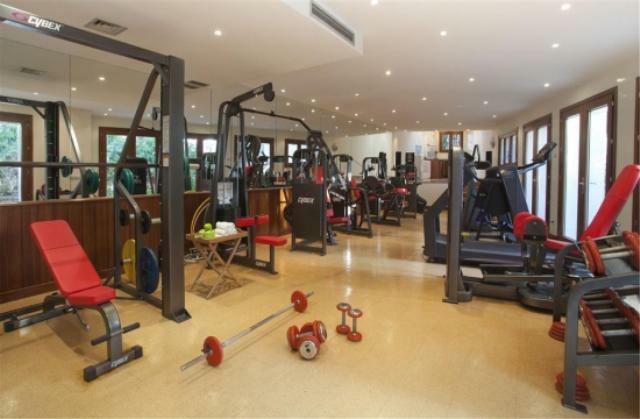 Also outside the main house are two separate buildings, one games room and one gym with extensive equipment. 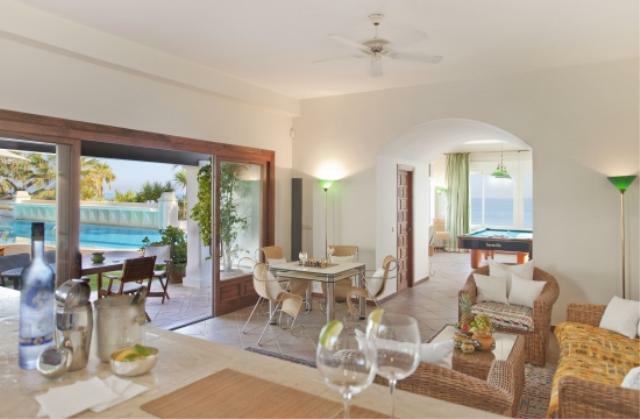 The games room is a bright and airy room overlooking the large pool with its own bar and relaxed seating areas. The gymnasium is spacious with more than enough room for several people to work out at the same time and also contains a spa. This luxurious wooden panelled room would not look out of place in the spas of London and is an ideal space to relax and unwind in. The most important and exciting part outside the property is its beach front location. Just a few steps and you are on the beach itself and the beach side restaurants and bars are close to hand. 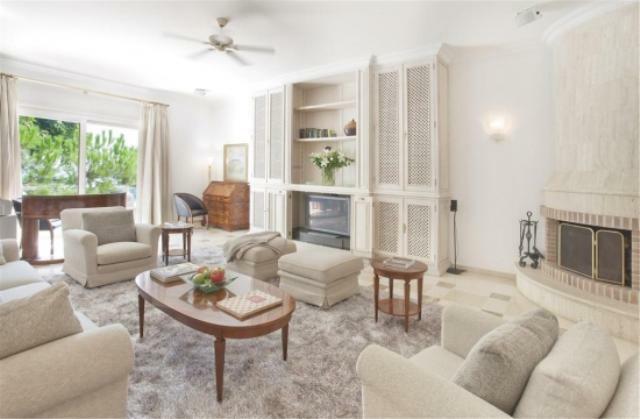 The local shops and centres are a short walk away too this is a perfect Marbella beach location. To try and briefly describe the 2123 square metres of house would be impossible but the overall feeling is one of luxury and space. With living spaces that are comfortable and light as well as opulent and grandiose you may find yourself never wanting to leave. The larger living area has gorgeous marble floors with comfortable rugs separating the room into enough seating areas for everyone. There is also a grand piano for those who fancy tickling the ivories whilst you are here. 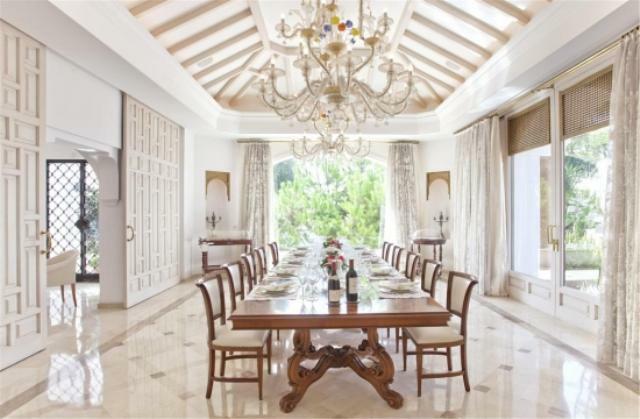 The dining room is accessed by impressive large sliding doors through which brings you face to face with a chandelier enthroned dining table and chairs. Suppers in this room take on a whole new level of style and sophistication. 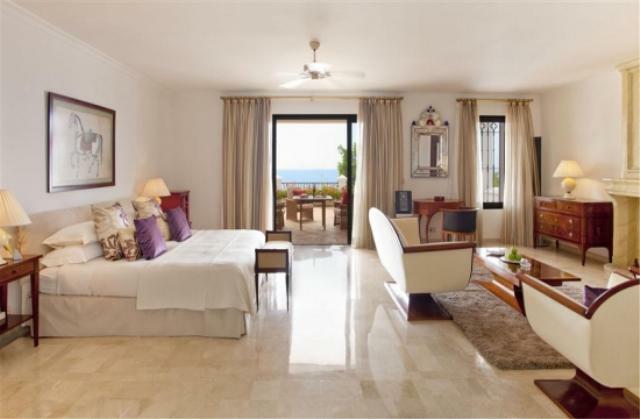 All the bedrooms in this villa are as you would expect, luxurious and impressive, with en suites of a 5 star standard. Some with beautiful sea views and others with their own private balcony and seating area, watching the setting sun from your own balcony is what holiday dreams are made of. 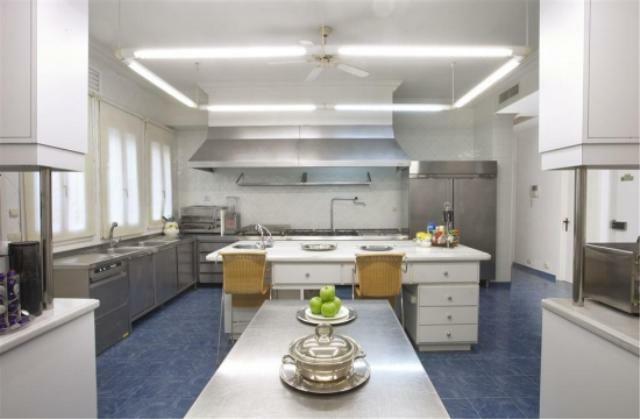 Other rooms in this sumptuous property include a fully equipped kitchen that is more than capable of catering for 28 or more guests. A TV room, ideal for relaxing in front of a DVD without disturbing anyone. As well as an office for those all important work calls and issues that need addressing when you are away from home. Around the villa you are located within walking distances of some great restaurants providing opportunities to sample some great Marbella cuisine alfresco style. From the seafood buffet at the Marbella Club Hotel to the ribs at Victor's beach bar if you want to leave the villa for an evening you will be spoilt for choice with the top quality restaurants nearby. 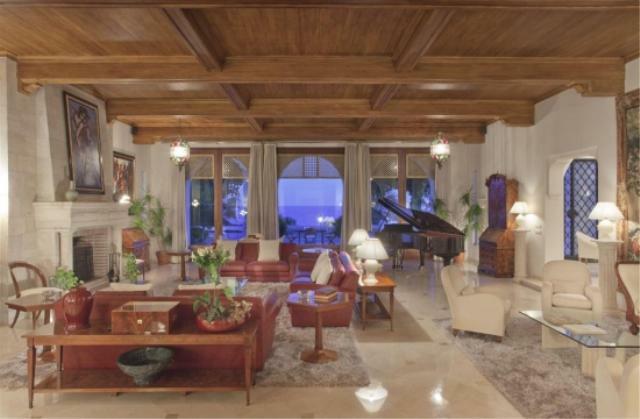 A holiday in this Marbella villa will be one that you remember forever. Call us today to make sure that you don't miss out on a luxury holiday of a lifetime.